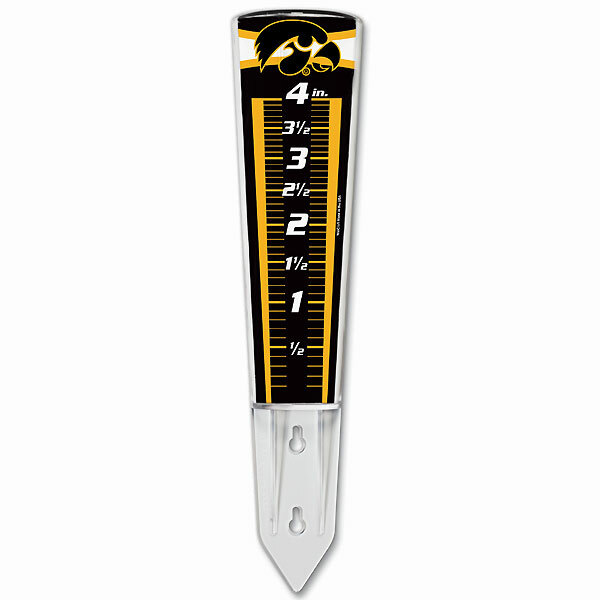 Magnifying Rain Gauge that measures 12 1/2" tall is acrylic and displays the Hawkeyes logo. Designed to magnify the numbers by more than 35%. The gauge is designed to be inserted into the ground or mounted on a post, deck or building. Brought to you by Wincraft.